We join Jeremy Richman’s family and all of whom were touched by his extraordinary life in deep mourning. Through his unbearable grief, Jeremy shared his brilliance with the world and brought much needed attention and education to the issues of brain health and neuroscience. The shadow cast by trauma and grief can be dark and long. 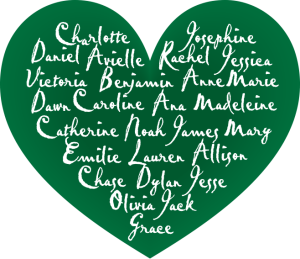 The Foundation remains committed to its long-term work supporting those who were impacted by the shooting at Sandy Hook School over six years ago. We urge individuals to seek the support they need and encourage others in need to use available resources. Newtown Youth & Family Services (203-270-4335) and the Resiliency Center of Newtown (203-364-9750) are available for those in the Newtown area. For those in crisis please call 911, 211, or the National Suicide Prevention Lifeline at 800-273-8255. Click the heart to learn more about the victims and the programs and organizations established in their memories.